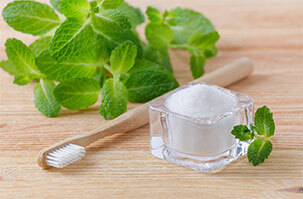 ← What Can You Use Instead Of Amalgam Fillings? Holistic dentistry in Ocala is a unique approach to dental treatment that attempts to improve the entire body by addressing the root cause of the problem rather than a symptom. Also referred to as biologic dentistry, alternative dentistry, and biocompatible dentistry, holistic dentistry in Ocala is the equivalent of alternative and complementary medicine for dentistry. Holistic dentistry in Ocala deals with the unrecognized effects of oral health on your overall well-being. There are no set treatment practices, though most holistic dentists use non-toxic and biocompatible restorative materials that respond well to the chemistry of your body, as well as alternative techniques such as naturopathy, acupuncture, and homeopathy, among other minimally invasive procedures that don’t interfere with your body’s natural healing process. This approach to dentistry is believed to have originated in 1800, with the holistic dental community being strongly opposed to the use of mercury-based dental fillings (amalgam), emphasizing the use of nonsurgical approaches to treat gum disease and the belief that endodontic treatment may trap dental bacteria in the body and endanger the patient’s systemic health. Patient treatment is individualized and follows the six components of biological based health care: biomechanical balance, bio-esthetics, biocompatibility, bioenergetics, biomechanics, and bioethical care. The holistic dentist in Ocala will provide you with all the information you need about your case so you can choose the treatment path that best suits you. This entry was posted in dentistry and tagged dentist in ocala, holistic dentist in ocala, holistic dentistry. Bookmark the permalink.